The one with Deborah Lippmann I Know What Boys Like! 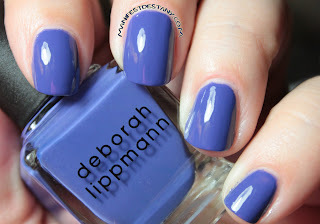 I've had Deborah Lippmann I Know What Boys Like on my wishlist forever! I was finally able to snag it off Copious for, like, $1 or something recently, so I've been dying to try it! It's a beautiful fusion of purple and blue, and is excessively creamy...so much so that the layers sort of melted together as I was painting. 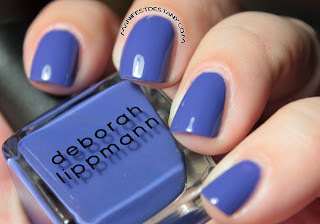 The formula is a tad thin, so I used three coats for full coverage. My stripes sort of swoop in places, but I shall keep practicing! It takes a little bit more practice. 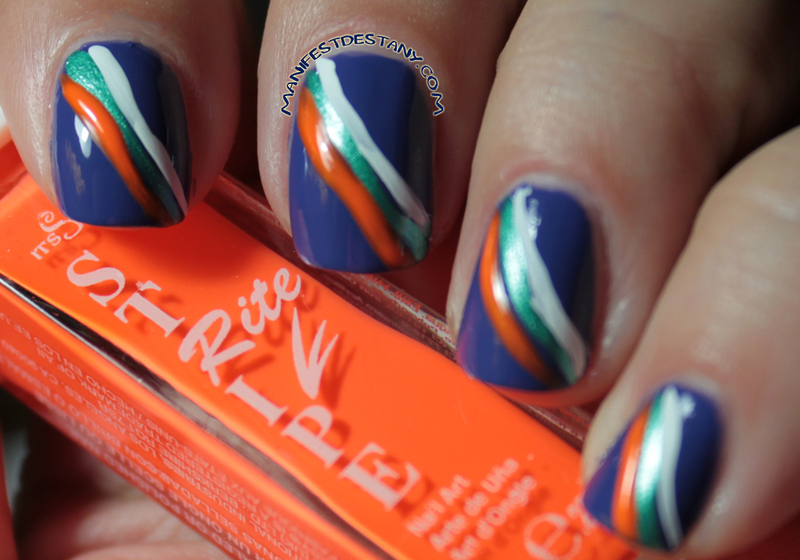 I really like the Stripe Rite polishes and brushes. It's just up to me to practice enough to be able to use them properly. They will be an excellent nail art tool once I get the hang of them ... so expect more posts featuring nail art stuff from It's So Easy!